Growing demand for nickel alloys from oil & gas, aerospace, power generation, electronic and others are driving the market growth. Nickel alloys posses’ superior chemical resistance, corrosion resistance, diamagnetic properties and ability to withstand elevated temperature and pressure conditions, are expanding its demand in the end-use industries. Moreover, upsurging demand of stainless steel, copper-nickel alloys, nickel-chromium alloys especially from the oil & gas industry is contributing majorly the market growth. The latest report by Value Market Research expects the Global Nickel Alloy Market to reach USD 82.5 billion by 2025. It was valued USD 60.6 billion in 2018. The report foresees a 4.5 % CAGR from 2019 to 2025. In 2018, stainless steel led the product segment by accounting major market share. The growing demand for medical tools, equipment parts, defense tools, petrochemical parts, and other components are driving the demand of stainless steel. Stainless steel is tough, sustainable and corrosion resistant material hence is used for a range of application. This is further boosting the segment growth. By application, aviation emerged as the leading application segment owing to growing application of nickel alloys in gears, jet engines, turbine seals, lockwire, exhaust liners, and other components. Nickel alloys impart hardness, strength, corrosion resistance, density, malleability, and other properties is boosting its usage in aerospace industry. Geographically, Asia Pacific led the market and has accounted for highest market share in 2018. Soaring demand of nickel and nickel alloys from automotive, aerospace, healthcare and manufacturing industries from emerging economies such as China, India, South Korea is contributing immensely in regional market growth. The market is predominately ruled by companies such as Alloy Wire International, Ametek, ATI, Carpenter Technology Corporation, Designed Alloy Products, Inc, Haynes International, Inc., J&J Alloys, Kennametal Stellite, MetalTek, Sandvik, Special Metals, VDM Metals, and Wall Colmonoy Corporation. 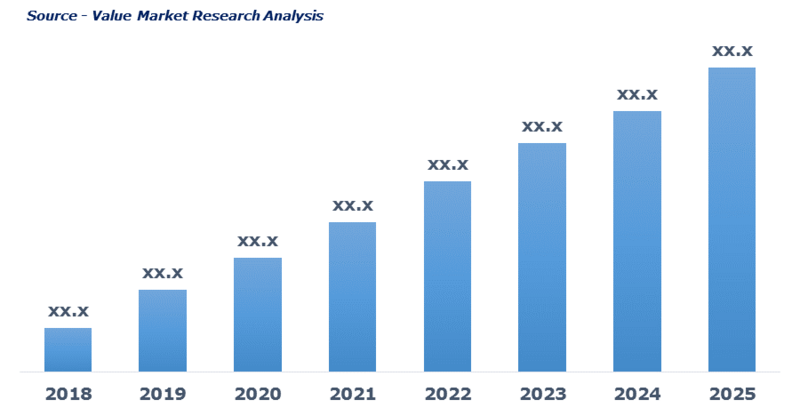 As per this study the Global Nickel Alloy Market was valued USD 60.6 BN (by revenue) in 2018 and is anticipated to reach USD 82.5 BN by 2025 with a CAGR of 4.5%. Nickel is the versatile element and is thus alloyed with wide range of metals such as iron, copper, chromium and others. Nickel alloys posse’s excellent heat and corrosion resistance chemical resistance, toughness, and special magnetic properties. Due to these properties, nickel alloys are used extensively in power generation, healthcare, chemical and petrochemical industries.